Irtiqa: Go and see the new documentary "The Square"
"It reminds me of 1848 - another self-propelled revolution which started in one country then spread all over the continent in a short time." "Two years after 1848, it looked as if it had all failed. In the long run, it hadn't failed. A good deal of liberal advances had been made. So it was an immediate failure but a longer term partial success - though no longer in the form of a revolution." "We are in the middle of a revolution - but it isn't the same revolution." "What unites them is a common discontent and common mobilisable forces - a modernising middle class, particularly a young, student middle class, and of course technology which makes it today very much easier to mobilise protests." All of this brings me to an amazing new documentary, The Square. It has been very well received in the festival circuit and now has also been nominated for an Oscar in the best documentary category. We decided to watch it yesterday - on the 3rd anniversary of the Egyptian uprisings. The film is bitter-sweet. It sweeps you into the middle of the revolution in Tahrir Square and allows you to experience the events through the lens of a few participants - most of them on the liberal end - but one also a member of the Muslim Brotherhood. 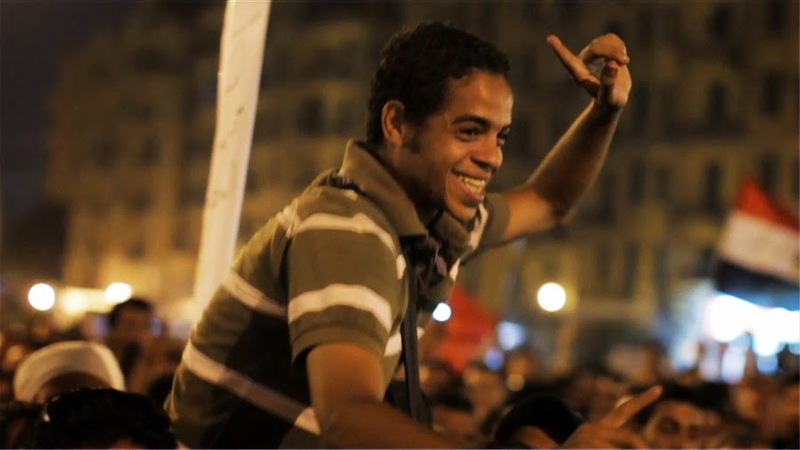 The film follow these characters through the start of protest gatherings in January 2011, through the struggles of getting Mubarak to resign and the military to cede power, to the election of Mori and his ouster in summer of 2013. 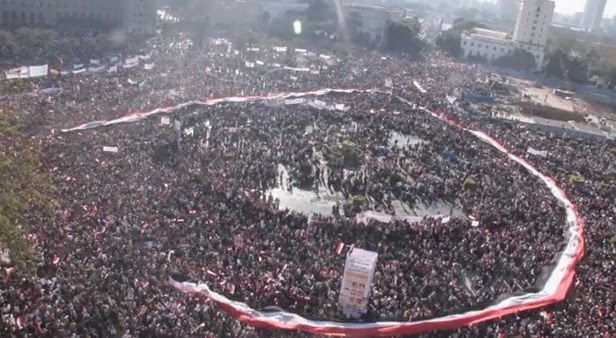 And yes, the protestors - and the film makers - keep on going back to Tahrir Square! film allows us to see the evolution of positions of the characters it was following along with their relationships with each other. In particular, it is fascinating and instructive to see the protagonist, Ahmed, and his conversations with Madgy, the member of the Muslim Brotherhood. Interestingly, we don't get to see much of the backstories of main characters, except for Magdy - perhaps appropriate, as the Brotherhood is the only one with a long history amongst the protesters. The film is beautifully shot. Yes, it follows the chaos and turmoil of mass protests, but it has ample sensitive moments to create an intimate portrait of life with these protestors (the filmmakers had over 1600 hours of footage to work with!). 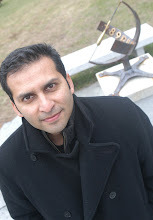 The film is directed by Ebgytian-Ameircan Jehan Noujame, who was also behind the fantastic documentary, Control Room, about the perception of US invasion of Iraq through the lens of Al Jazeera. After watching The Square, please also check out Control Room. Here is the trailer for The Square which you can stream from Netflix (by the way, if you end up confusing this movie with a fictional film, The Square - well watch that too. It is a well-made Australian thriller).